"If it's not from New York, it's not pizza," tweeted Chief of Detectives Dermot Shea. The pizza war between New York City and Chicago continues, this time taking the form of a social media spat between the NYPD and the Chicago Police Department. Some of the New York department's top brass took to Twitter Thursday, just in time for National Pizza Day this weekend, to argue the merits of Big Apple pizza. There's real pizza — a thin-crust, crispy slice with a slight chew, layered with sauce and mozzarella — and then there's Chicago's deep dish "pizza." The NYPD was quick on Thursday to school the Chicago Police Department on the facts. 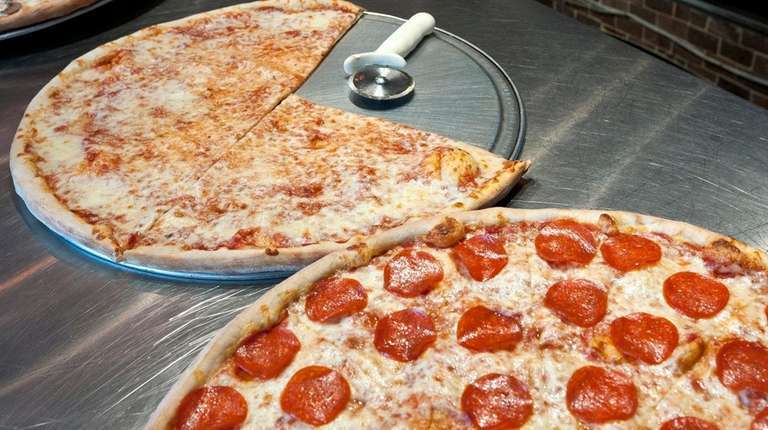 The social media battle began when the CPD tweeted out photos of two different kinds of pizza on Wednesday, asking how people will celebrate the pizza holiday. "Deep dish, or ol’ fashioned thin crust? Either choice beats New York-style slices," the tweet read. Although Chicago police staked their claim that deep dish is the big cheese (which may be true, since deep dish tends to be overflowing with cheese), NYPD officials said it was questionable whether their pie-like dish even qualifies as actual pizza. "Trick question," Chief of Detectives Dermot Shea tweeted in response. "If it's not from New York, it's not pizza." The NYPD's official Twitter page responded, saying, "We recognize the slice of pizza on the right, but what’s the one on the left? Is there pasta in it?" "When we win (again), Superintendent Eddie Johnson eats a slice of NY [pizza] & admits it’s better. If you win, I’ll eat my words & a slice of that casserole you call pizza," he tweeted, including an emoji of a nauseated face. For their part, the CPD said there was "only one way to settle this," telling the NYPD to "Have your officers taste-test a Chicago-style deep dish, and we'll give your New York-style slices a try this Saturday on #NationalPizzaDay. And DOCUMENT IT."